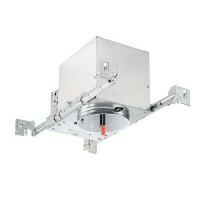 4" LED IC rated air tight remodel housing for use with TLSRL400 series LED trims. 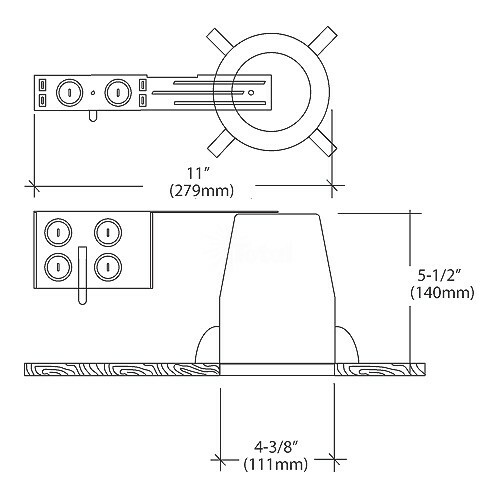 Provided with gasket to prevent airflow from heated or air-conditioned spaces. 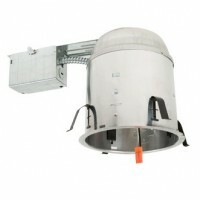 Meets or exceeds all national air flow requirements. Die-formed aluminum for maximum heat dissipation and rust protection. Housing can be installed in 1/2" to 1-3/8" thick ceilings. Housing is IC rated for direct contact with insulation and can be used in IC and NON-IC applications. May be installed in 2" x 8" joist construction. 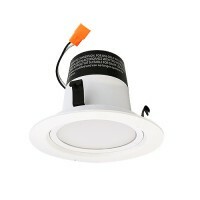 Polarity-specific EZ-connect system engineered to match with our module retrofit TLSRL400 series LED recessed trims. The unique 'EZ-connect' wiring system is Title 24-2013 compliant when used with the TLSRL400 series LED trims. The unique EZ-connect system also meets other state and national regulatory mandates. 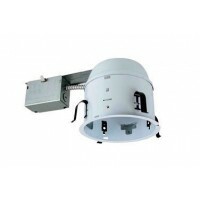 System is a UL listed disconnect system that preserves the integrity of the energy efficient system by insuring only our TLSRL400 trims are used. 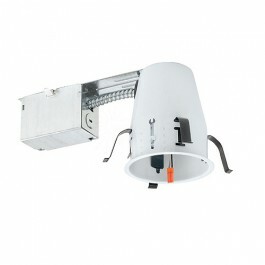 The EZ-connect system prevents installation of less efficient incandescent luminaires and LEDs. *Meets strict code requirements where Edison Base Sockets have been banned.